Kill3rCombo, publisher of the hit free-to-play action MMORPG Elsword, is introducing a brand new, action-packed Halloween dungeon and treating all players to free costumes. Just in time for festivities, the never-before-seen Halloween Banquet Room offers thrills and chills plus a chance at incredible prizes. The heroes of Elsword have been invited to a lavish party — and by the looks of things good times are in store — but soon they are attacked by wave after wave of ghastly friends, who don’t seem to have celebration in mind. Nimble players will face monsters unique to this dungeon and as they fight to stay alive they can gain sweet Halloween rewards including this year’s all-new Halloween costumes. 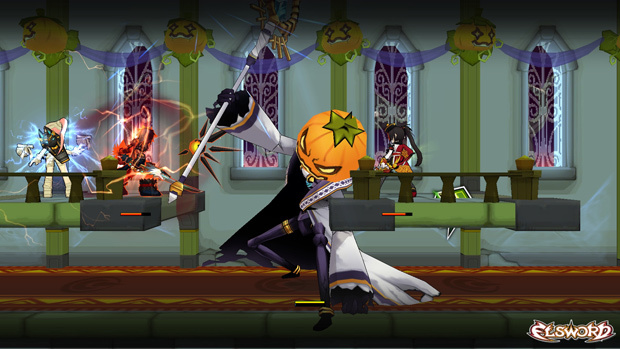 Halloween celebrations have been underway in Elsword all month long. Players can also receive free costumes to do their trick-or-treating in style from a variety of activities outside of the new dungeon. Additionally, Elsword players on Steam can purchase exclusive item packs only available on Steam. Both the exclusive Starter and Adventurer packs offer amazing special items. Recently, ASTA Online laid out its plans for changes coming in open beta.